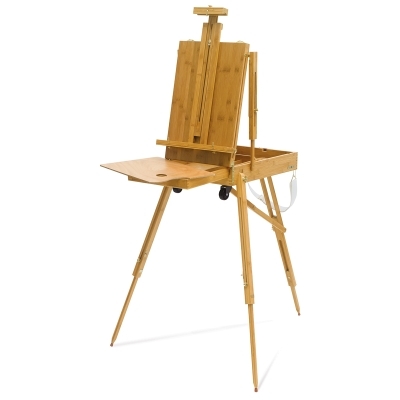 The beauty, durability, and sustainability of bamboo in a classic sketchbox easel! 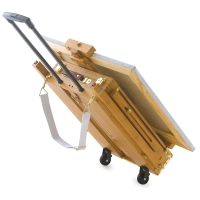 When open, this laminated bamboo easel extends up to 70" high, and holds canvases up to 32" high. 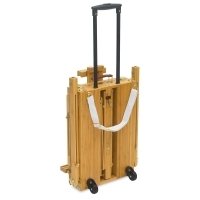 Fully folded, it measures only 16"W × 24"H × 6¾"D. Wheels and a pop-up handle add to its extreme portability. 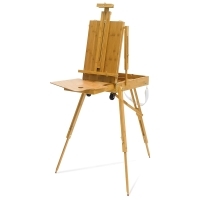 The Bamboo French Sketchbox Easel features adjustable legs and comes with a palette. It weighs 13.2 lb. 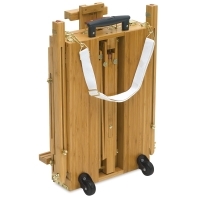 To view a PDF of assembly instructions, please click here.